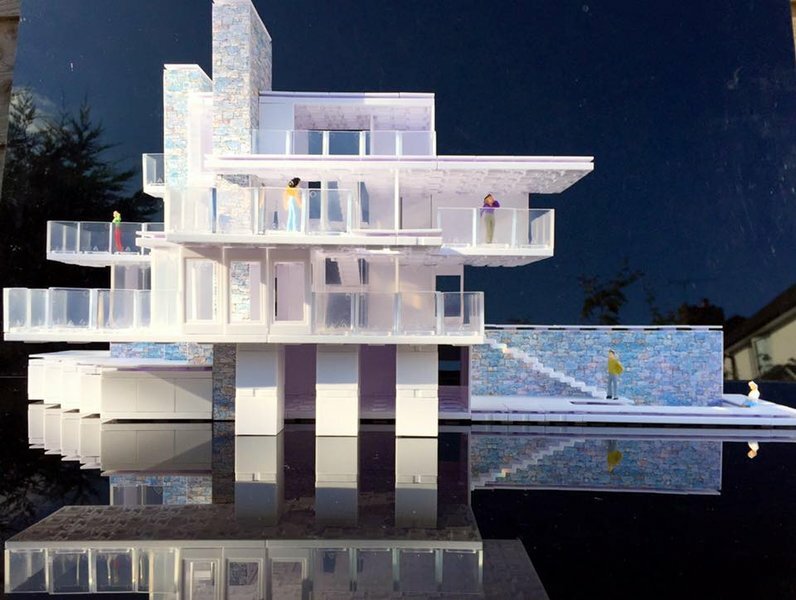 What if you could easily make a model of your dream home, recreate a smaller-scale version of your favorite iconic building or simply translate a design from your imagination into a physical reality? And what if you could do it just like a professional architect? 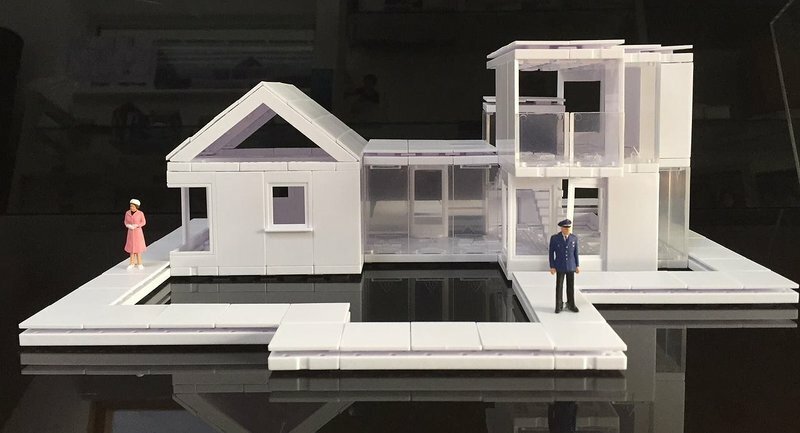 With new ARCKIT anyone – design fans, budding architects, hobbyists, even kids ages 12+ – can quickly turn their vision into something tangible to enjoy on their own or share with others. Designed originally by architects for professional use and based on modern building techniques, ARCKIT’s multi-award-winning system of reusable, scaled model building kits is unlike any other. 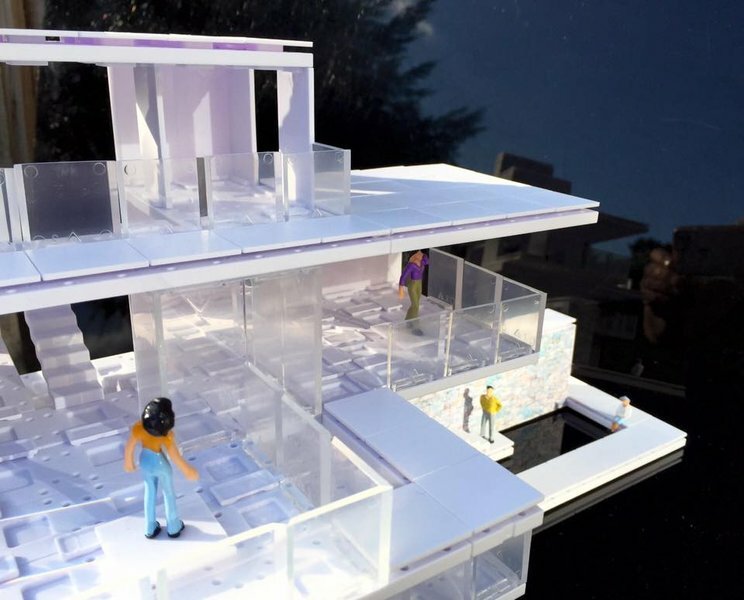 More realistic and advanced than traditional building block toys, ARCKIT’s unique panel system enables users to study exterior form as well as to really get inside structures and explore the internal space. “ARCKIT’s sleek kits originated as a way for professional architects to produce working architectural models without employing external model makers,” said creator and ARCKIT Founder CEO Damien Murtagh. “But we realized that this innovation for the world of architecture could also free anyone to express themselves and learn basic design skills. 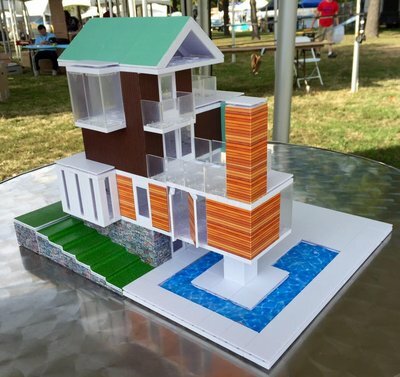 ”Along with providing hours of fun and a great finished product, ARCKIT is also a valuable STEAM education tool, enabling kids to learn about engineering while demonstrating their artistic side. ARCKIT’s components interconnect without using glue – a key distinction from other model making methods — and are completely modular, so those with a creative bent can design and build a diverse range of realistic scaled structures that can be easily assembled and endlessly modified. The pieces simply snap together and no cutting is needed. As a result, the time from concept to creation is much faster than with traditional cut and glue materials. Once projects are completed, they can be taken apart and used all over again, to build something completely different – which can’t be done with traditional model making or 3D printed models. 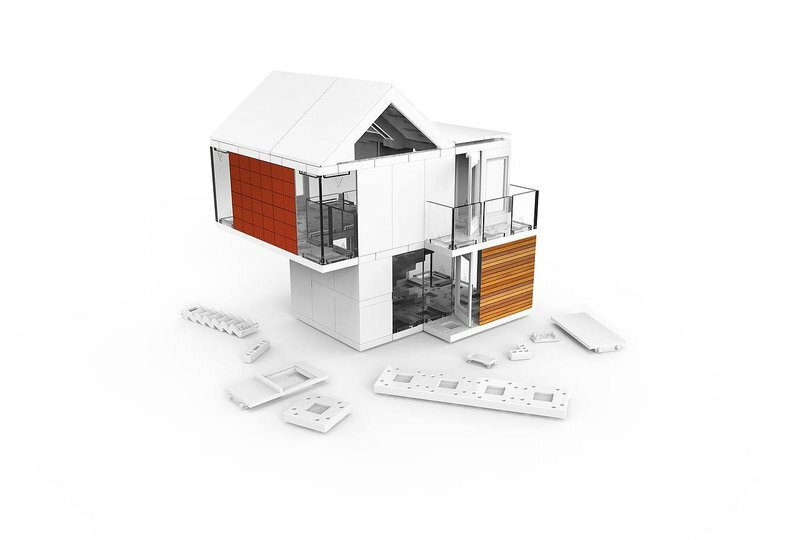 ARCKIT’s interchangeable components can be combined in an almost infinite number of ways. They include parts for walls, windows, stairs, floors and roofs. Every piece is made to a standard 1.2m/4ft modular grid to scale 1:48 (1 / 4). This is a popular scale with model manufacturers, making ARCKIT compatible with many other model products such as model vehicles, figurines and furniture. Designs can be customized by applying detailed and realistic finishes such as timber, terracotta, stone, brick, aluminum, colors, even grass and water. These surface textures include materials supplied by real building companies and are available from ARCKIT’s ARCKITEXTURE digital library of surface textures and material patterns. Simply download and print to the supplied adhesive ARCKITEXTURE media sheets ready to be measured, cut and applied to a finished model. ARCKIT components are also available digitally within SketchUp’s 3D software, giving designers the added benefit of being able to explore and build virtually as well as in reality. In order to further customize their spatial ideas, users are encouraged to design and 3D print their own bespoke components to integrate into the system, making ARCKIT a limitless platform to build off. Designed by architects yet built for everyone, ARCKIT’s freeform system makes it possible to build anything from celebrated designs such as Frank Lloyd Wright’s Fallingwater to idyllic beachside retreats to home extensions to high-rise city structures. The only limit is an individual’s own imagination. 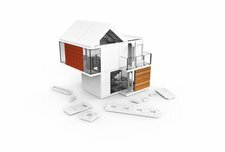 ARCKIT currently offers four kits, each one allowing for the creation of models of different sizes and capabilities. This means that users can upgrade their kit over time to further extend the size and capability of structures they build. ARCKIT GO, the starter kit, contains 160+ components, enough to build smaller architectural structures before moving to the bigger kits, and sells for $69.99. 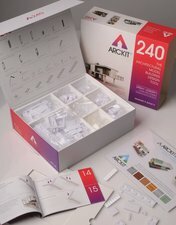 ARCKIT A60, A120 and A240 contain 220, 385 and 620 pieces, and sell for $129, $249 and $399, respectively. Individual component packs start out at $9.99 and are available online through arckit.com. Because ARCKIT is an add-on system, these four kits and component pack range are just the beginning, “We will be continually evolving and launching new components, and online features,” noted Murtagh. ARCKIT, described by Wallpaper magazine as “the game-changing architectural model kit,” is a new architectural model system that allows users to physically design, build and modify a working model radically faster than ever before, inspiring spontaneous creativity. The system is compatible with 3D computer modelling programmes, and completed ARCKIT models can be finished with realistic surface textures and material patterns. The interconnecting components use no glue and are completely modular. This makes it possible to create a diverse range of scaled structures that can be used as working models for architects to communicate design ideas, for students to learn essential STEM skills, and for budding young architects to have fun exploring basic design and construction principles. ARCKIT is currently listed for sale in Harrods, Barnes & Noble, RIBA bookshops, Chicago Architecture Foundation and many other museums and retailers around the world. 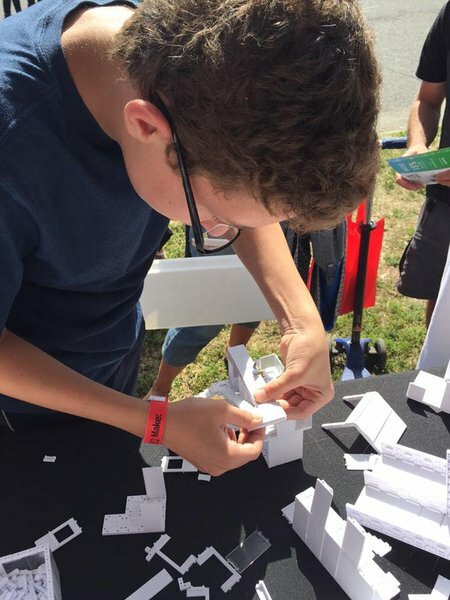 ARCKIT is also being used by schools and universities for its highly educational qualities. In 2015, ARCKIT was shortlisted for The Irish Times InterTrade Innovation Awards, and later won the prestigious Red Dot Award 2015. ARCKIT GO, a starter set priced at $69.99 launched in 2015, is suitable for younger enthusiasts looking to graduate from playing with construction block toys.